Audiobook edition of The White Room is now available! October 8, 2016 / goathunter / Comments Off on Audiobook edition of The White Room is now available! 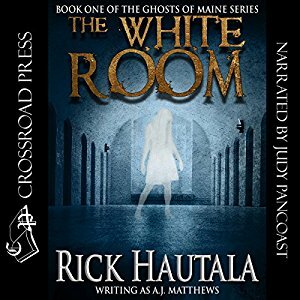 Crossroad Press has released Rick Hautala’s The White Room, originally published under the pseudonym A.J. 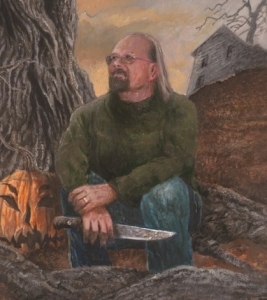 Matthews, as an audiobook narrated by Judy Pancoast. The audiobook is available from Audible now. It’ll be available from Amazon and iTunes within the next few days. A summer vacation in Milton, Maine, would be the best thing for Tim Harris, his wife, Polly, and their young son, Brian. Restoring Tim’s childhood home to its original splendor would help Polly restore her own life after a breakdown that left her fragile and afraid. But for Polly, it’s the beginning of new nightmare…. In the dark at the top of the stairs, it’s waiting, in the white room.